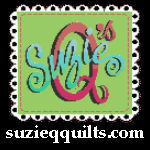 Win Great Prizes! All it takes to be in the running for the fantastic prize is nimble fingers and a little time at your computer to visit and register at all of the participating websites to qualify for the Grand Prize Drawing. Don’t miss out on the fun and the opportunity to be the grand-prize winner. Just a little persistence could yield a big payoff! 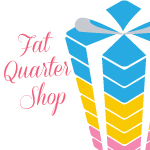 Check out the Grand Prize below to see what you could end up with on your doorstep and in your sewing room if you’re a lucky winner like Michele Van Epps was. 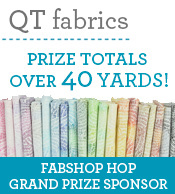 Win over 40 Yards of Fabric and Precuts from QT Fabrics ! 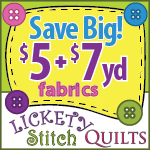 1 yard of each sku in the Ombre Stitches collection - that's 20 colors/yards! 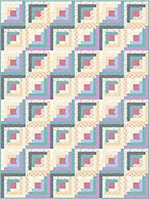 Ombre Stitches is a design combining the textural effect of stitches printed in meandering colors for a fabric with lots of movement! This collection works well as a stand-alone print or plays well with coordinating colors and prints for even more impact! 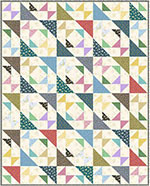 Twenty color stories make it easy to find a great companion for your next project! 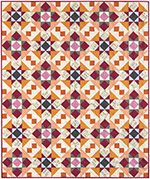 Friends of QT's dynamic quilt projects are included to showcase how they were inspired by these fun fabrics! 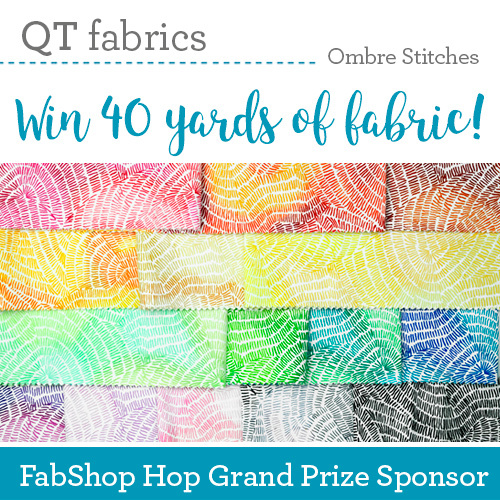 Make a colorful statement with Ombre Stitches by QT Fabrics! 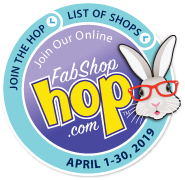 And to our sponsors: Thanks for helping make FabShop Hop the place to go for quilting and sewing shopping on the web. 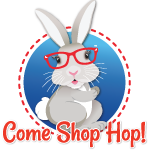 Your support is appreciated by the thousands and thousands of shoppers who visit participating websites during the month of each hop!